There are two primary sources of lawyer ratings, Avvo.com and Martindale-Hubbell. People who want to see how a particular lawyer stacks up can go to the websites of those organizations and find out. Tom has been rated 10.0/10.0 in Avvo.com for over a decade. We will write about Avvo in a future post. 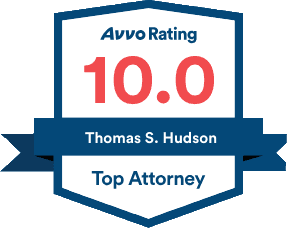 Recently, Tom was rated by Martindale-Hubbell and given the rating of "AV-Preeminent." This is the highest rating available. Per Martindale-Hubbell, "it signifies that the lawyer's reviewed peers rank him or her at the highest level of professional excellence for their legal knowledge, communication skills and ethical standards." Tom never pursued a rating by M-H, for two reasons. First, since M-H relied primarily on other lawyers for rankings, it seemed pretty easy for lawyers in large firms to "stuff the ballot box" and upvote each other to increase their rankings. And in fact, for years the highest rankings were dominated by "big firm" lawyers, even though many of the best individual attorneys choose to work alone or in small offices. There is a second reason that Tom never pursued the M-H "AV Preeminent" rating. Martindale-Hubbell gives the lawyer the rating (which is now open to clients as well as other lawyers to vote on), but then they charge money to allow a lawyer to use their "AV" logo in advertising or on their websites. So it seemed like it cheapened the honor by making it a bit of a scam. Kind a "play-to-pay" situation. Call it a matter of principle. Or call it Tom Hudson just being a cranky old man. You won't see the "AV-Preeminent" logo on our advertising or our websites. But we are. And Tom is honored to be named as an "AV-Preeminent" lawyer by Martindale-Hubbell. He thanks the lawyers and clients who rated him, and pledges to live up to that rating in 2017 and the years to come.